For many years now, I have been invited to speaker to horticultural societies and garden clubs all over Quebec and other parts of Canada. I really enjoy this opportunity to speak to fellow gardeners and garden lovers and to share my passions and preoccupations with them. Please do contact me if you would like to have me talk to your organization. Whether you have a back yard, a balcony, or just a window sill, you can produce more of your own food than you can imagine. 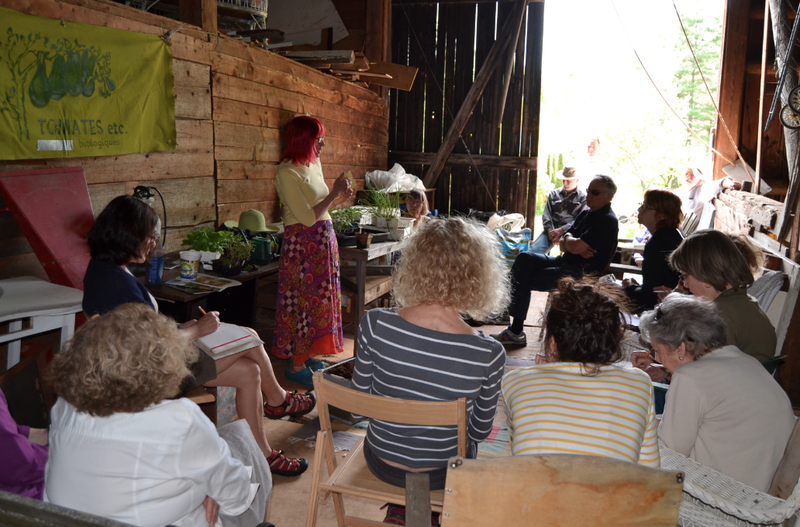 In this workshop you will learn the basics that will help you to get started growing your own food. We will look at soil preparation for growing in containers or in the ground, examine the best vegetable, herb and flower varieties for city gardens, and perhaps most importantly learn how to prevent squirrels from eating our precious crops.